The devastating earthquake that struck North Sumatra and the Andaman and Nicobar Islands on Boxing Day (26 December) in 2004 caused a tsunami that inundated coastal communities around the Indian Ocean, killing over 250,000 people in 14 countries. That earthquake was caused by a slip on a subduction zone plate boundary fault beneath the eastern Indian Ocean. Now, over the coming weeks, a team of international researchers are returning to offshore Sumatra to collect marine sediments, rocks and fluids from this particular zone for the first time to gain a better understanding of the materials and to collect data for predicting how they behave in fault zones to generate large earthquakes. Throughout August and September the researchers, including experts from Ocean and Earth Science at the University of Southampton, will spend two months on board the drilling vessel JOIDES Resolution as part of the International Ocean Discovery Programme (IODP). The Expedition, number 362 of the IODP, involves 33 scientists and two educators from 13 countries including Professors Lisa McNeill and Tim Henstock from the University of Southampton. Professor McNeill is one of the Expedition leaders along with Associate Professor Brandon Dugan of the Colorado School of Mines and Dr Katerina Petronotis of the IODP. “We are very excited that the project is about to start as it has taken many years of preparation and the dedication of a large team of scientists from around the world,” said Professor McNeill. “We have an excellent team onboard and we hope the results will help us understand what controls the size of the very largest earthquakes on Earth, particularly following the enormous numbers of casualties due to subduction earthquakes and tsunamis in the last 10-15 years. Professor McNeill explained that the North Sumatran subduction margin has an unusual structure and morphology that is likely influenced by the properties of the sediments and rocks forming the margin. “Although our understanding of this margin’s structure and development has increased enormously since 2004 due to marine geophysical data collection, as yet very little is known of the properties of the materials that make up this subduction zone,” she continued. “This project will investigate how materials coming into the system drive shallow earthquake rupture and influence the shape of the continental margin. Our ultimate goal is to understand the hazard potential for this margin, and eventually others with similar material properties and margin morphology. 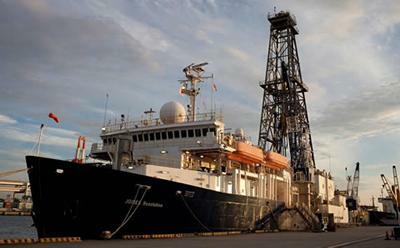 “This ocean drilling expedition will for the first time drill scientific boreholes within the sediments entering this subduction zone, including the layer of sediment that eventually develops into the earthquake-generating fault,” Professor Henstock explained . “We know the sediments are of deep sea and terrestrial origin, including those eroded from the high Himalayas and transported thousands of km into the Bay of Bengal and eastern Indian Ocean. But we do not know how the sediments change as they become physically and chemically altered as the sediment section builds up to 4-5 km thickness before reaching the subduction zone. The vessel JOIDES Resolution is operated by the Science Operator based at Texas A&M University (USA) on behalf of the US National Science Foundation. IODP and its predecessors have led scientific ocean drilling worldwide since 1968. Currently, IODP has 26 international partners: USA, Australia, Austria, Belgium, Brazil, Canada, P.R. China, Denmark, Finland, France, Germany, India, Ireland, Israel, Italy, Japan, Korea, Netherlands, New Zealand, Norway, Poland, Portugal, Spain, Sweden, Switzerland, and the United Kingdom. 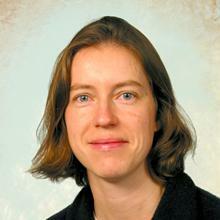 Professor Lisa McNeill is Professor of Tectonics within Ocean and Earth Science, National Oceanography Centre Southampton at the University of Southampton. 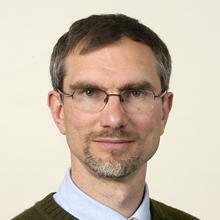 Professor Tim Henstock is Professor of Geophysics within Ocean and Earth Science, National Oceanography Centre Southampton at the University of Southampton. Geophysics uses physics to study the Earth. While we can see what is at the surface, we often want to know what is underneath; equally we may know things about the Earth now, but we want to know how it has got this way. Geophysics is one of the main ways to address these questions. We can do this by using fundamental principles of physics to build mathematical models of processes within the Earth, or by using physical measurements (such as seismic waves, gravity, or temperature) to determine the properties and state of the Earth. I am unusual in that I work in both of these areas, building models as well as making the observations that motivate the models and can be used to test them. I am also unusual since I have worked across a wide range of length and time scales, from a few cm and hours up to 100s of km and billions of years.